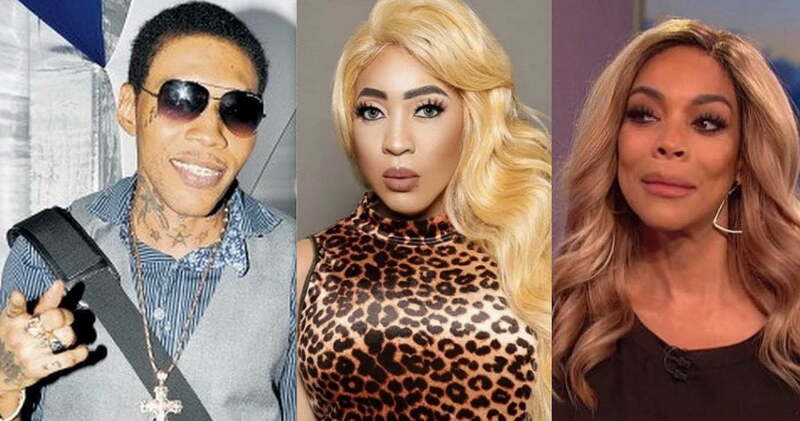 Wendy Williams shade Vybz Kartel, his teenage son, and Spice over skin bleaching. 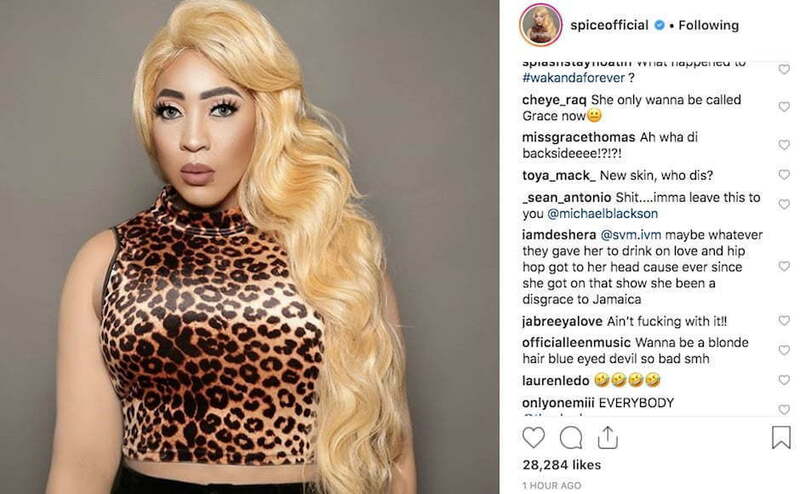 Spice broke the internet earlier this week when she debuts a photo that suggested that she bleached her beautiful dark skin. 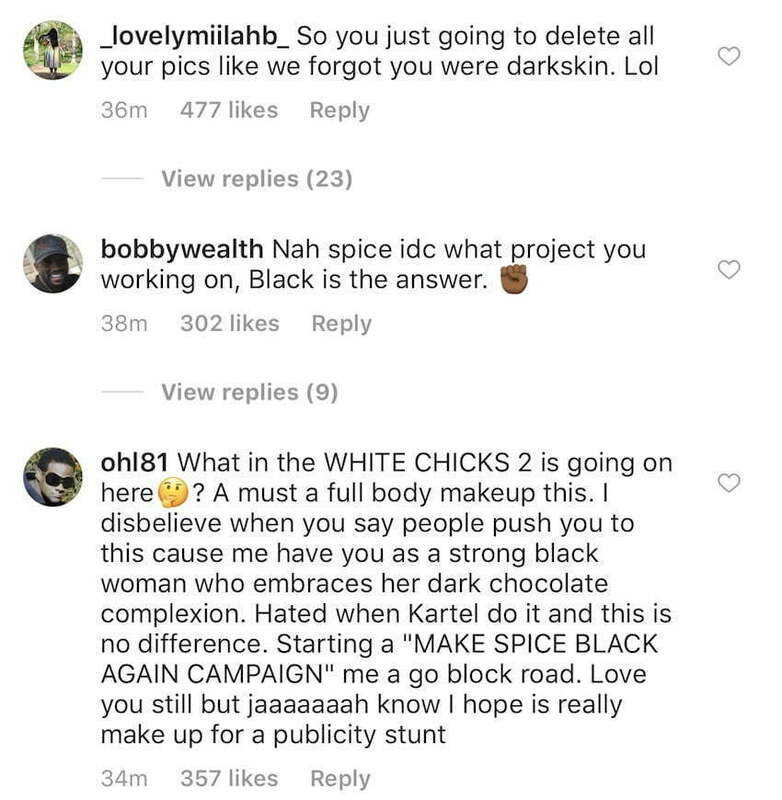 Fortunately for all of us who are die-hard fans of the dancehall queen, it was a marketing ploy for her powerful new single “Black Hypocrisy.” Even after learning that she didn’t lighten her skin, Wendy Williams still went on her show the next day to drop some shade. As for Vybz Kartel, it’s no secret that he has been bleaching his skin for well over a decade, and he has never been shy about it. 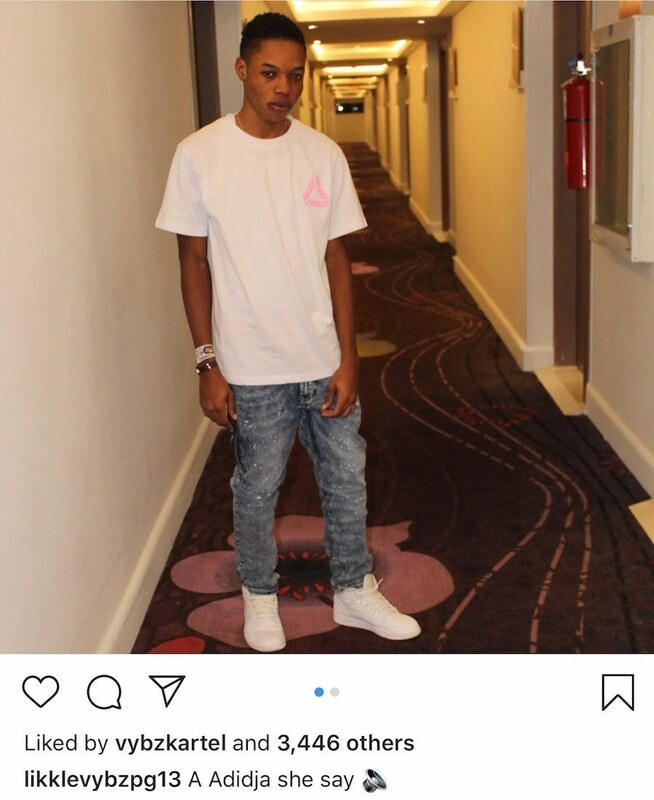 Last week, Urban Islandz reported that Kartel’s teenage son, aka Likkle Vybz, is now bleaching his skin, and the incarcerated deejay fully supports it. 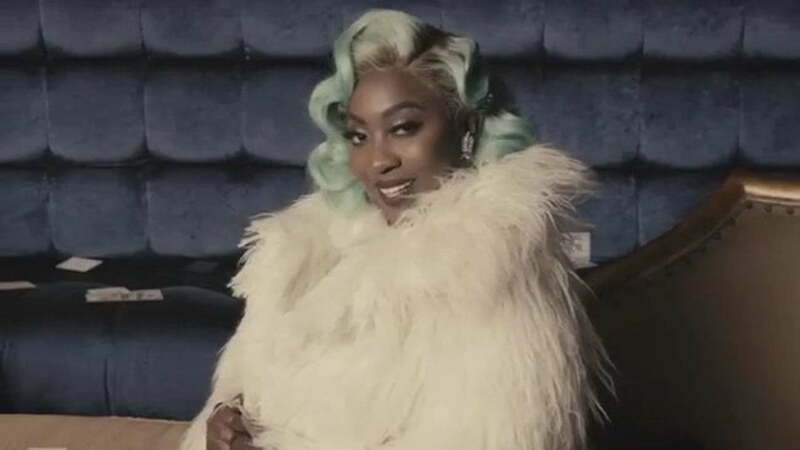 Nevertheless, this is all good promotion for Spice and her new music because Wendy Williams is talking about her on her show which is being watched by millions of viewers in the United States and worldwide. Williams then turned her attention to Vybz Kartel and his son, saying that they both use cake soap to bleach their skin. “Vybz Kartel is in jail, but he does admit to bleaching his skin, Vybz, he uses cake soap, they call it cake soap, and he uses it to bleach his skin, I guess that way you can get it all up in everywhere,” Williams said. The talk show host then turned her attention to Kartel’s teenage son who is now bleaching his skin. “That’s some serious self-hate mane, am sorry,” she continues. Love and Hip Hop Atlanta star Spice is getting some backlash for bleaching her skin. The dancehall diva recently went on a social media detox after deleting all her photos and videos from Instagram, but now she returned a brand new woman. Spice uploaded a new photo of herself on Instagram on Monday showing a much lighter skin tone and blonde hair. Her fans immediately recognized the huge difference in her image and started asking questions. The “So Mi Like It” deejay assured them that nothing is wrong with making a fresh start. “Nothing wrong with a fresh start,” Spice wrote. “My mixtape is ready for pre-order today on all platform. Pre-order yours and tag me #Captured.” The “Sheets” deejay also used her downtime to finish recording her new mixtape due sometime this fall. Despite the massive backlash over her perceived skin bleaching, some fans were still defending her honor, while others were still not believing the photo was her. “Spice me love you see!!! You delete everything and come back white!! Love it!!! See true me know what a gwan I will be quiet and watch how the dogsh*t them ago criticize you,” one fan wrote. Spice has yet to address the issue, except that she is using the shock-value to promote her new project. The new Queen of the Dancehall is known for her dark skin and blue hair, an image that her fans have grown to love over the past few years. Her transitioned into a light skin blonde hair bombshell comes as a shock to the vast majority of her supporters. Spice is the newest cast member of “Love and Hip Hop: Atlanta” and already she is making her presence felt. LHHATL season 7 premieres next week Monday and VH1 gave us a glimpse of the drama coming this season. At the center of it all is Jamaican dancehall sensation Spice, who is getting a lot of support from her fans. Still, there is still a small segment of her local fanbase who is criticizing her accent on the show and she is responding to that. In the first official trailer for Love and Hip Hop: Atlanta season seven, Spice got into a fight with another female. We will have to wait to watch the show to find out what really happened since this was only a sneak peek. Spice is now living in Atlanta full time as she gets comfortable to being a regular on the hit reality show, but she says she is still living in Jamaica. Her first order of business is to broaden her career into the hip hop market. Her debut rap single “Duffle Bag” is currently on the airwaves and the video is out. ++++++++++++++++++++++++++++++++++++++++++++++++++++++++++++++++++++++++++++++++++++++++++++ Spice stopped by Caribbean Fever to clear the air on many of theconversational things she has said recently, also to talk about being added to Love And Hip Hop and her new music. Check out the highlights of the interview below.